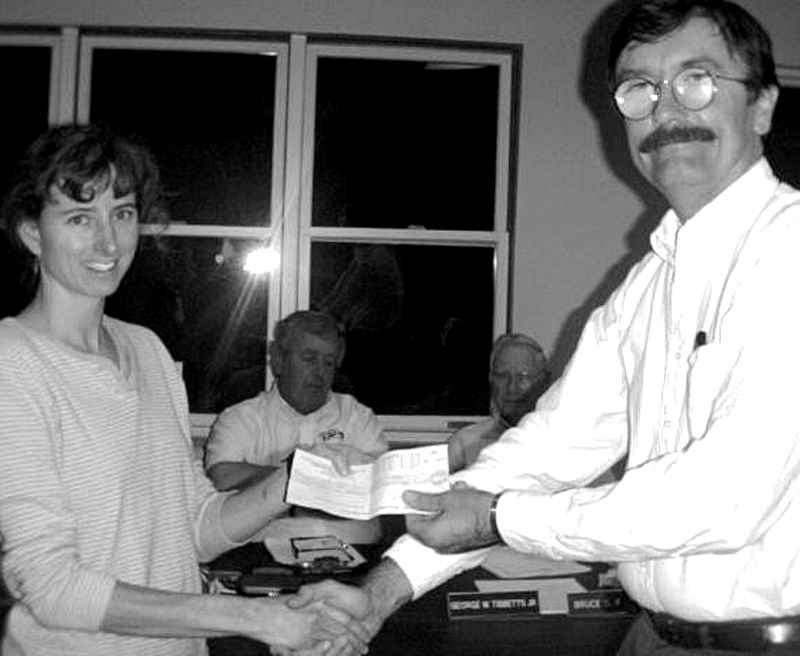 Former Fare Share Co-op President Jo Faubert hands a check to former Town Manager David Holt for the building at 443 Main St., during a selectmen meeting in 2000. The co-op moved into the building in 2001 and is still there today. NORWAY — For 40 years, the Fare Share Co-op has remained afloat throughout turbulent times, multiple location changes and strained finances. Moore said that she has served in many roles with the Fare Share Co-op since the 1980s. The Fare Share Co-op was founded in May 1978, according to Ken Morse, one of the signers of the co-op’s original articles of incorporation. Morse said that prior to the founding of Fare Share, he had heard about a regional produce and grain-buying club called Western Coordinated Produce, which allowed buying clubs to combine their orders into one large order and buy organic food from the New England Co-op Buyers. He said that he and several others created their own regional buying group called Gutco. In 1978, Morse and the other founders decided to form a cooperative store called Fare Share Co-op. It originally was open one day a week “in a barn across from McDonald’s in South Paris,” Morse said. Moore said that the co-op was a lot smaller in the 1980s. After many years at the Tannery Street building, Moore said the co-op decided it needed more space and moved to Main Street. “It became incredibly expensive to fix the building,” she said. “It was very dilapidated and worn out. It was really more than we bargained for, but it was a very generous transfer by the town. She pointed to some of the other businesses that came to Main Street afterwards: The Tribune (formerly known as Books N Things), Cafe Nomad and the Green Machine Bike Shop. “There’s been a lot of synergy here, and the Fare Share Co-op feels like the cornerstone for it,” Moore said. When Fare Share was first founded, co-op stores were unique, and big chain grocery stores such as Shaw’s Supermarket and Hannaford were not offering organic foods, Moore said. Moore said that organic food has become “very mainstream,” which has led to the success of the Fare Share Co-op over the last few years. The Fare Share Co-op differs from independently owned natural food stores in that the store is “owned by many, many people,” Moore said. The store is governed by a nine-person board of directors and run by a general manager, according to Moore. “The board monitors the organization’s performance and is in charge of the long-range vision,” Moore said. Prior to being hired at Fare Share, she ran an independent, natural-foods store in Poland — Square Root Natural Foods. 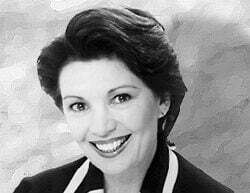 Shortly after, she said that she received a phone call from Fare Share’s previous general manager. “She told me that she was retiring, that there would be a job opening for general manager, and that I should apply for the job,” Andersson said. “I felt like what I did for work before this would help me in the general manager position, and I have a Master’s in sustainable business, so it felt close to what I’m used to doing,” she added. Andersson said she did not have a lot of experience with co-ops before being hired, but quickly grew acclimated to the way it operated. Over the past three years, Andersson said that Fare Share Co-op has been able to increase its payroll by 35.6 percent, allowing her to employ two additional workers and offer higher wages, benefitting customer service and employee morale. The co-op has also increased to 38 percent the amount of local food in its inventory. “We’re proud of that number because it shows our members that they have an impact on what we buy and offer,” Andersson said. She said that the co-op has also installed heat pumps in the store, which replaced an antiquated heating system. One of the elements of the co-op that both Moore and the rest of the board are happy with is the Main Street location. “I think that’s a cool goal that would resonate with the owners,” she said. “We want to make sure the people who are owners have a real sense of the co-op belonging to them,” Moore said. Heading into its 40th year, Moore said that Fare Share Co-op is one of maybe six co-ops remaining in Maine. “A lot of them have gone out of business,” she said. “Many of the state’s co-ops are on the coast. We’re one of the only co-ops inland that serve rural areas. We’re ‘The Little Engine That Could’ kind of co-op. 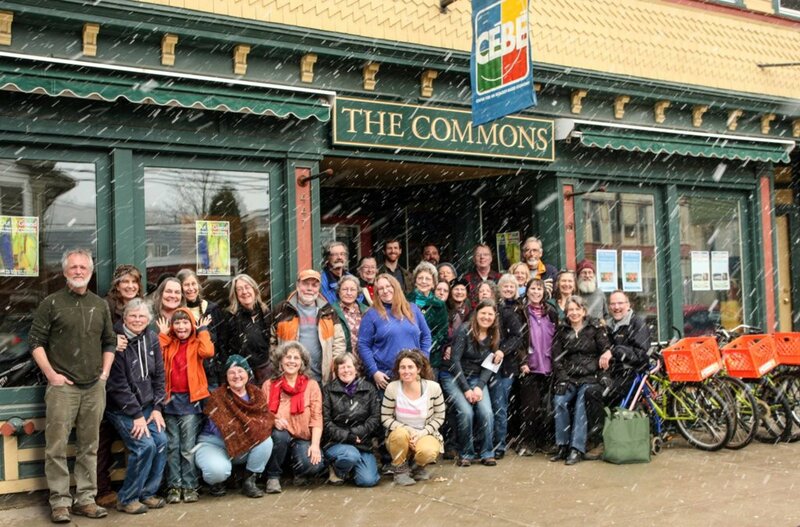 Some of the owners of the Fare Share Co-op stand outside the store in the fall of 2014. President Lisa Moore said Fare Share has about 500 owners and she hopes to increase that number moving forward.